Federal Signal’s Model 27XST explosion-proof strobe light features a voltage in-rush limiting PCB design that provides greater compatibility with factory automation control systems and less electrical interference with in-rush sensitive devices. Federal Signal’s Model 27XST has an effective candela (ECP) of 850 and a two million peak candela. Three mounting options available: pendant, ceiling or 90° wall mount. For easy installation, the mounting box is first installed and the fixture is then threaded onto the mounting box, making the electrical connection. Pre-install the mounting bracket, electrical continuity is made when five threads are engaged. 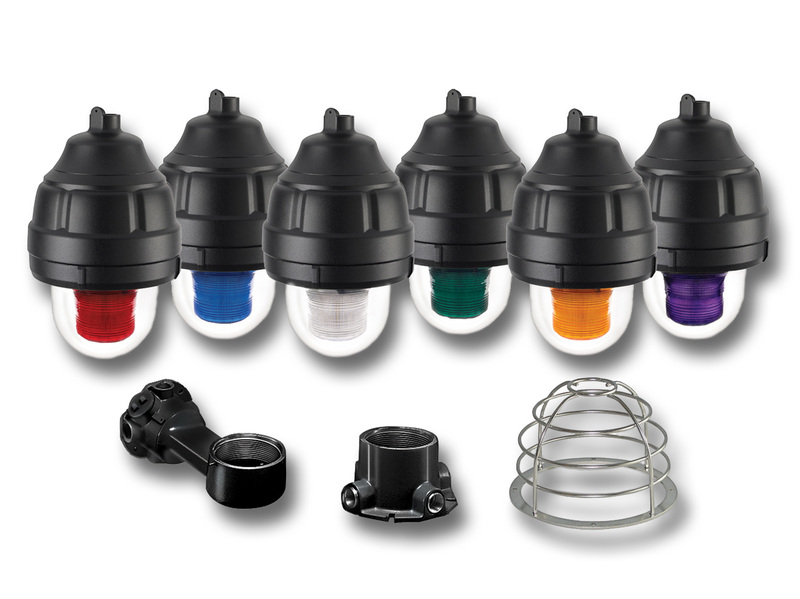 Federal Signal’s Model 27XST is specifically designed for explosion-proof atmospheres and/or corrosive environments. Because it is easy to install and requires very low maintenance, it is ideal for use in areas such as oil rigs, mines, refineries, and chemical plants.